Jesus’ prophecy was fulfilled. He was lifted up on the Cross for all to see. Among those seeing this horrific sight was His own dear mother. Mother Mary heard this prophecy spoken by Jesus during His public ministry. She pondered His words over the years just as she had pondered the words spoken by Simeon when she and Saint Joseph presented Jesus in the temple, “And you yourself a sword will pierce so that the thoughts of many hearts may be revealed” (Luke 2:35). Though painful to see, our Blessed Mother knew that her Son’s Crucifixion was accomplishing the greatest good ever known. She knew that He had suddenly destroyed the “ruler of this world” and had driven him out from the hearts of those who turned to the Cross. She knew that her Son’s Cross would draw many to Heaven and free them from eternal death. Mother Mary herself was the first to be drawn to her Son’s Cross and to be bathed in the grace of His unending mercy. Have you allowed the power of the Cross to transform your own life? Have you joined our Blessed Mother as she stood before the Cross with her eyes fixed in love at the image of her salvation? Have you allowed the power of the Cross to drive out the ruler of this world from your own heart? Have you allowed Jesus’ Cross to draw you to Himself and to the Father? Reflect, today, upon these questions as you reflect upon your Lord being lifted up upon the Holy Cross. See Him hanging there and know that this is the image of your own salvation. Allow yourself to be drawn to Him and allow His Precious Blood to cover you, driving the evil one and all sin from your life. Reflect, ponder, be open and receive. The Lord was lifted up for you. Allow the power of the Cross to change your life. 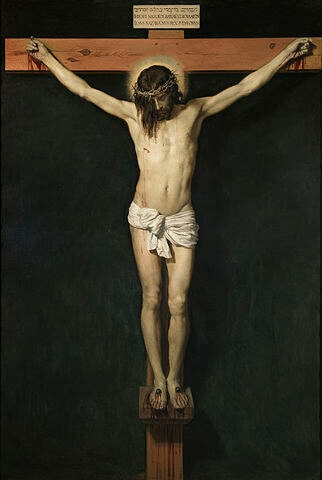 My dearest Mother, though you gazed at the horrific sight of your Son’s brutal Crucifixion, you remembered the words He spoke in which He revealed the power of His sacrifice. You were aware of the deep truth that His Cross was destroying the evil one and all sin, and that all who gazed upon your Son in faith with you would be drawn to the glory of Heaven. Pray for me, dear Mother, that I may be one of those who stand with you in the shadow of the Cross. Help me to be strengthened by your witness. Point me always to your Son so that I may receive the abundance of grace poured out on Calvary. My crucified Lord, I thank You for the unfathomable gift of the Cross. Draw me in, dear Lord, and sanctify me by Your perfect sacrifice of love. Heal me, renew me, give me new life and drive all sin from my life. I thank You Lord for all You have done.